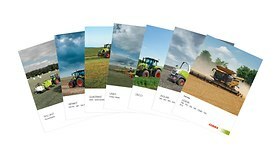 See what's new in the world of CLAAS. Stop by and see us at your nearest farm show! Peruse job listings and learn how to join the CLAAS team. The latest corporate information available now. Buy your CLAAS merchandise online or through our catalog. Watch our CLAAS equipment in action! Omaha, NE — February 27, 2019 — Nebraska Gov. Pete Ricketts and the German American Chambers of Commerce joined CLAAS of America today at its North America headquarters for a ceremony for the state’s first German Dual Study Apprenticeship Program. The ceremony was a featured event at the Growing Nebraska Skilled Workforce Conference at CLAAS of America and featured a delegation of government, education and business leaders who discussed new solutions for solving the skilled workforce shortage. CLAAS and Graepel Manufacturing, two German companies with North America operations based in Omaha, became the first two high-tech manufacturers in the state to sign on and commit funds for the three-year ICATT Apprenticeship, a dual study program promoted through the German American Chambers of Commerce. The ICATT Apprenticeship Program helps manufacturers develop a pipeline of skilled talent and train the workforce they need to grow through its globally recognized program.The Growing Nebraska event featured Gov. Ricketts; John Albin, Nebraska Department of Labor Commissioner; Mark Tomkins, president and CEO of the German American Chambers of Commerce of the Midwest; John Fonda, CEO of John Day Company; Phil Raimondo, CEO of Behlen Manufacturing; and Mark Zumdohme, president of Graepel North America. “As a long-line manufacturer of technically advanced agriculture equipment, CLAAS relies on a dedicated and highly skilled workforce to build the high-efficiency machines that the markets demand,” said Franklin. “As a long-term business resident of Nebraska, we’re thrilled to commit to this important apprenticeship program that helps create new opportunities for our region’s workforce.”The dual study program is a work-based education model that combines classwork with on-the-job practical experience. ICATT partners with companies and community colleges to develop tailored curriculum based on industry standards and individual company needs. The program was established by the German American Chambers of Commerce of the Midwest. In addition to the ICATT apprenticeship program, CLAAS is also using the DOL Registered Apprentice Program to provide other critical training for some of its current employees. The ICATT and DOL apprenticeship program training will be handled through Metropolitan Community College in Omaha.“We’re tremendously excited about the opportunities that these two training initiatives will bring with on-the-job training for local skilled workers who are interested in the opportunities that CLAAS North America has to offer,” Franklin said. Photo from left to right: Matthias Ristow, president and speaker of CLAAS Omaha Inc.; John Albin, Nebraska Department of Labor Commissioner; Mark Tomkins, president and CEO of the German American Chambers of Commerce of the Midwest; Governor Pete Ricketts; Deb Cremeens-Risinger, Nebraska State Director, U.S. Department of Labor; Dr. Andreas Götze, Deputy Consul General of Germany; Mark Zumdohme, president of Graepel North America. CLAAS North America offers a long line of technologically innovative tractor, combine, forage harvester, baler and hay tool products to provide growers optimum performance in the field. These premium equipment lines are designed by a dedicated engineering staff located at numerous factories worldwide and focused on the production and design of harvesting equipment. The design, performance and reliability of this equipment have made CLAAS an international market leader. For more information, visit claas.com. Omaha, NE — February 12, 2019 — CLAAS of America is showcasing its SILAGE TECH™ package, a recently released precision performance bundle for the JAGUAR 900 Series forage harvester that increases data information and feed quality. CLAAS forage quality experts are highlighting the technology at the company’s booth (P37-P39), at P St. and North Green Belt, in the main exhibit area at the World Ag Expo in Tulare. Distribution Development alignments further strengthen dealer service. 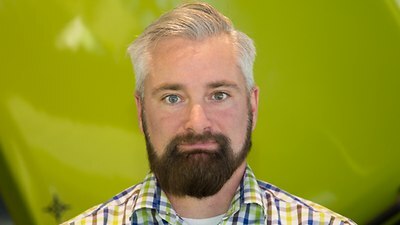 Omaha, NE — February 8, 2019 — As part of its commitment to provide superior service to its dealer network, CLAAS of America is pleased to announce that Aaron Challoner has accepted the position of Distribution Development Manager for Canada. In his new role, Aaron will report to the President and General Manager – Sales, Eric Raby. Aaron joined CLAAS of America in May of 1998 as a product specialist. In May 2002, Aaron signed on with the CLAAS North America Canada Sales Division as a territory manager. Aaron has a strong farming background as well, working many years for his family’s harvesting company. Aaron holds an agriculture business degree in Agricultural Entrepreneurship and Rural Small Business from Olds College in Alberta, Canada. Additionally, CLAAS has realigned the Distribution Development Team in North America along the regional structure that was introduced in 2017. Brian Abrahams will take the lead in the North and East Regions while Randy Pauletto will oversee the West and South Regions. David Friedersdorf will focus on the new Make Hay initiative to grow the CLAAS baler and hay tool footprint in eastern North America, and Brian Meier has joined the team in a cross-functional data analysis role. For more information about CLAAS, visit the company’s website at www.claas.com.